!!!! 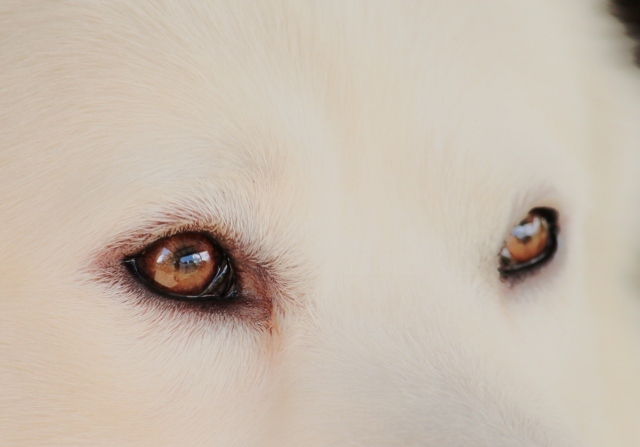 Alaskan Malamutes Do Not have Blue eyes !!!! 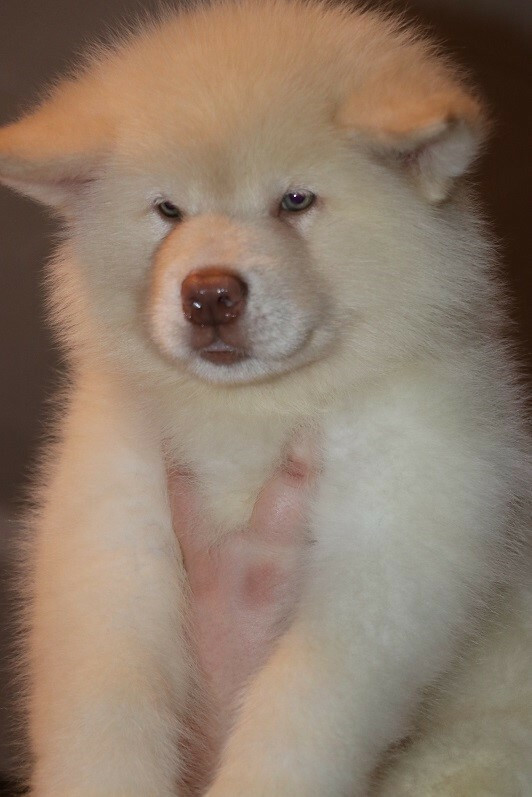 ​​Red Alaskan Malamutes at a very young age- just after opening their eyes will look to have Blue eyes when they are very young ( just after the eyes open and up to about 9 weeks. ) 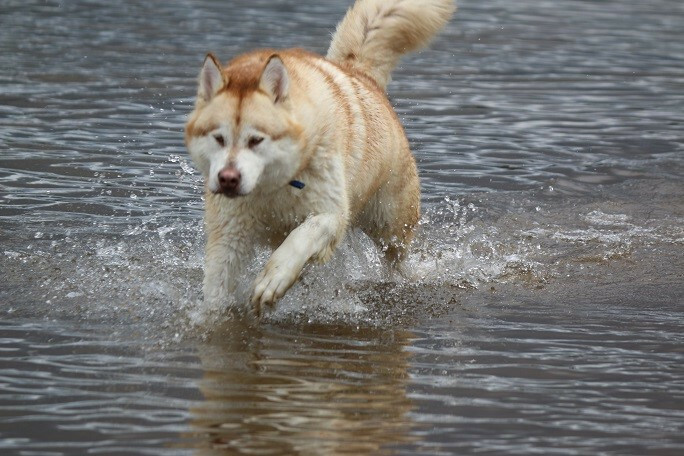 but Alaskan Malamutes do NOT have blue eyes. 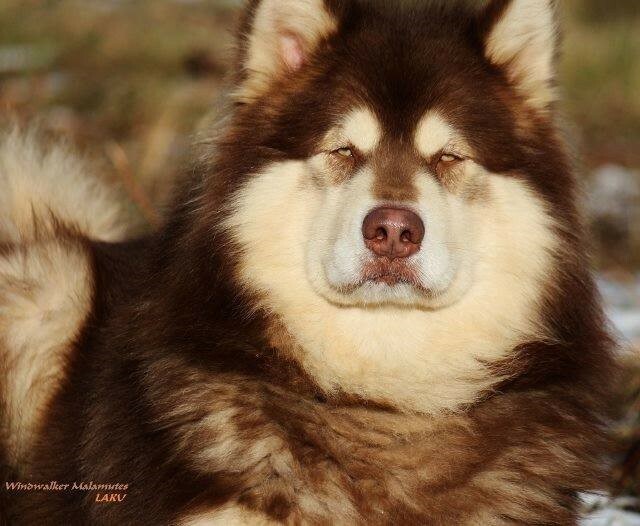 ​This is an- " AKC DISQUILIFIING Fault " for the Alaskan Malamutes. 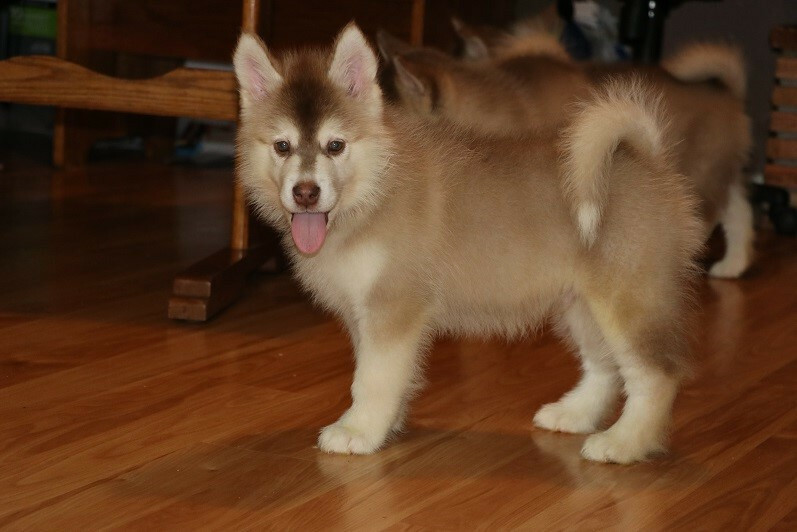 If someone tells you that their puppies will have blue eyes when they are grown, or the parent dogs have Blue eyes, they are Mixed with husky or something else with a Blue eyed gene, but they are not pure bred Alaskan Malamutes. They are not allowed to have Blue eyes by the AKC standard and should Never be used for breeding purposes. 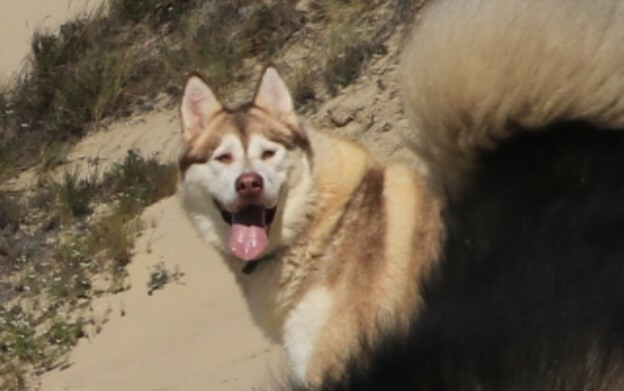 Any breeder that is breeding Alaskan Malamutes with a Disqualifying fault, is not only not reputable but you should wonder what else they will lie to you about. 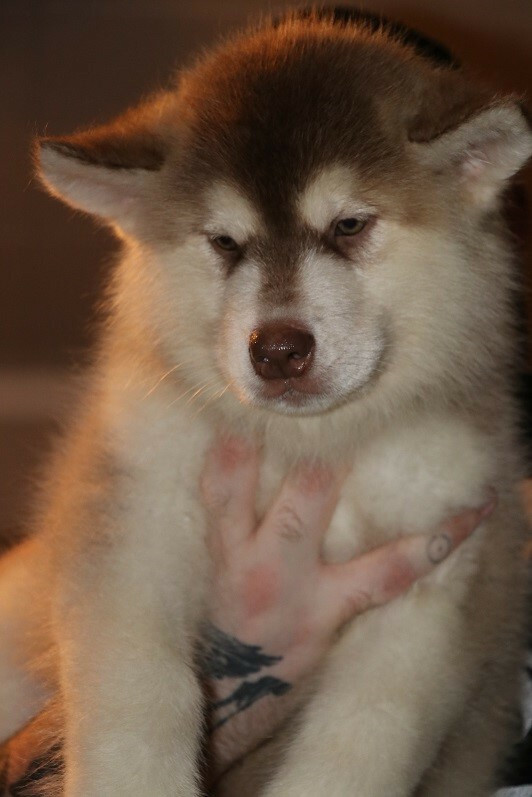 Anyone offering Blue eyed Alaskan Malamutes for sale as a Rare form of the breed- is scamming you. The statement below is a quote from the Breed Standard and talks about the color an Alaskan Malamutes eyes should be. 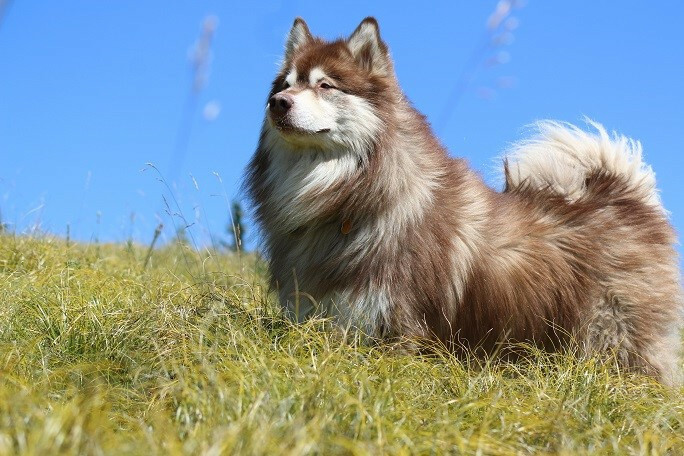 All Imagines and information on this site are the sole Property of ​Windwalker Photography and Windwalker Alaskan Malamutes or have been approved by the owner of the information. Please do not Copy or use without written permission. ​( Spay or Neuter ) - contract agreement/ NO BREEDING. Grow them- as you want them Grown. While your baby is growing up, teach him what is right from the start. 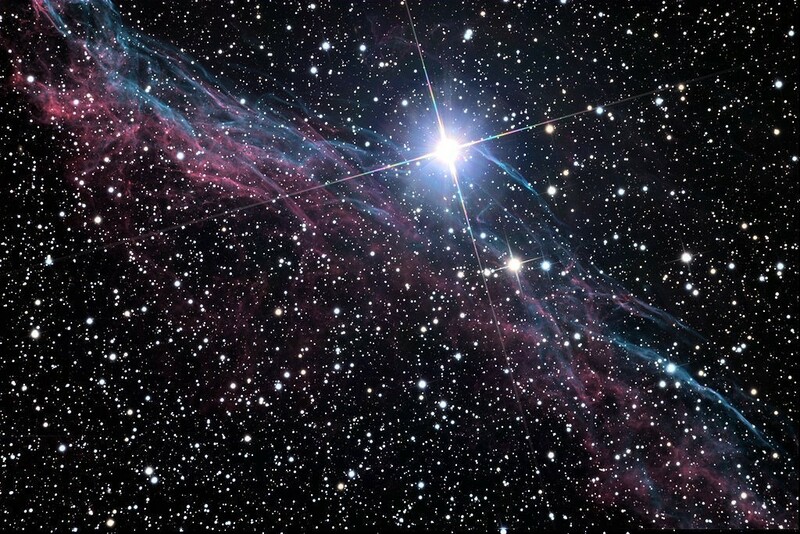 ​​Show him what you expect and make the lines as clear as you can. If you don't want them on the sofa as an adult, don't let them on the sofa as a baby. If you don't want them to chase the cat as an Adult, don't let them chase the cat as a baby. If you want them to return when you call them.. teach them as a baby- that recall is Very important, and can save their life. ​​Raising a puppy is like raising a child- respect, Love and belief in their human parents ( like it or not- you are their parent and made the choice to comment to a life time with them when you brought them home ) is what makes them more compatible with humans. Remember, they are Not human and they don't think like we do, but they can learn from us to do good- or bad, based on what we teach them. I'm no Pro- ( don't call myself one ) but I know I can take my crew out in the woods on an 8 mile hike with 22 of them, and come home with 22 ) so mine must believe in me, and I do my best to teach them right from the beginning. Raising a Puppy is a commitment for life. They can live a long life of as much as 17 years- like raising a Child. Ask yourself this- do you have 17 years to devote to a dog ? Life changes for everyone over the years in a 17 year period and no one can truly say where life might lead us- Only the Good Lord knows that one. But, when you make the commitment to bring home a puppy, make sure that you know its for life. They are cute and cuddly as babies, but they grow up, and they can stay cute and cuddly if you teach them correctly. 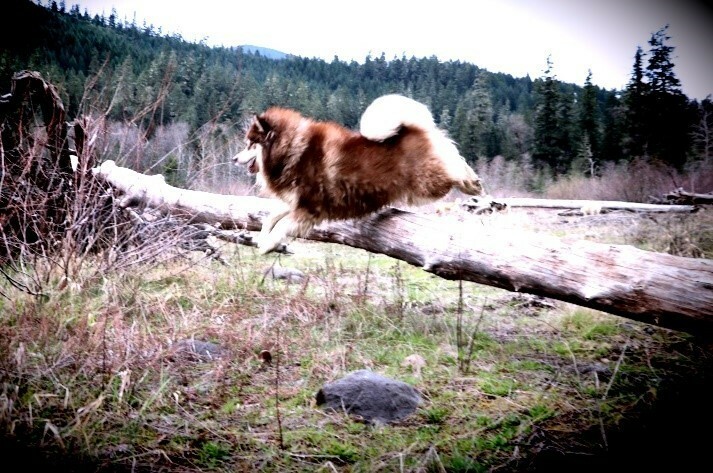 Malamutes are not for everyone.. 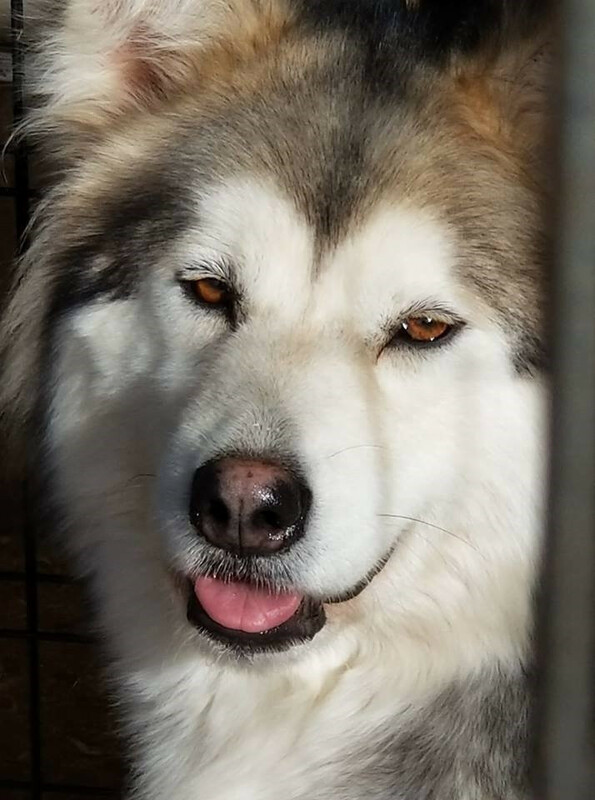 Please, take the time to research the breed and ASK questions- this will help you to make that choice- is a Malamute is the right breed for your family. I Love helping with questions and offer Answers freely with each question. 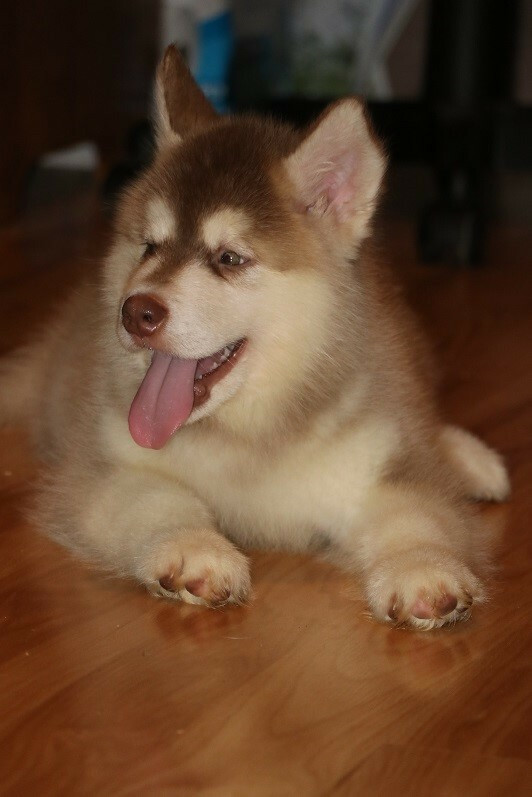 When placing a deposit on an Alaskan Malamute puppy from Windwalker, your deposit is telling us that you would like to have a Malamute puppy from a litter we have coming up, or a Malamute puppy that we have currently available that is not yet old enough to leave our care. 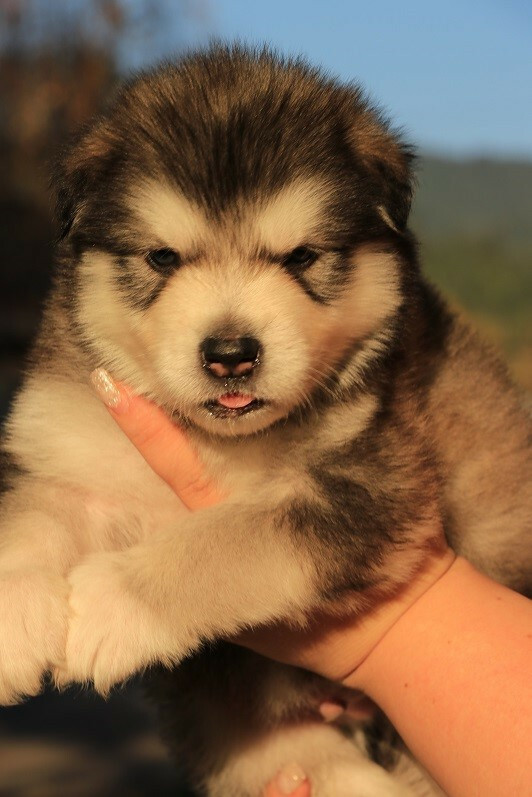 ​Your deposit allows you to pick a puppy from that litter or to hold a current Malamute puppy for you that is not yet old enough to leave our care, you are agreeing to reserve that puppy with your deposit- we are holding the puppy for you with that deposit, for a time frame to be set when you pay your deposit. Those funds reserve that puppy until he or she is able to go to their new home, making it so we can not place the puppy with another family- if the puppy is not picked up by the agreed time frame, the puppy will be put back up for adoption, or a boarding fee will apply of 7.00 dollars a day until the puppy is picked up or all funds are forfeited and non-refundable and the puppy will be rehomed. 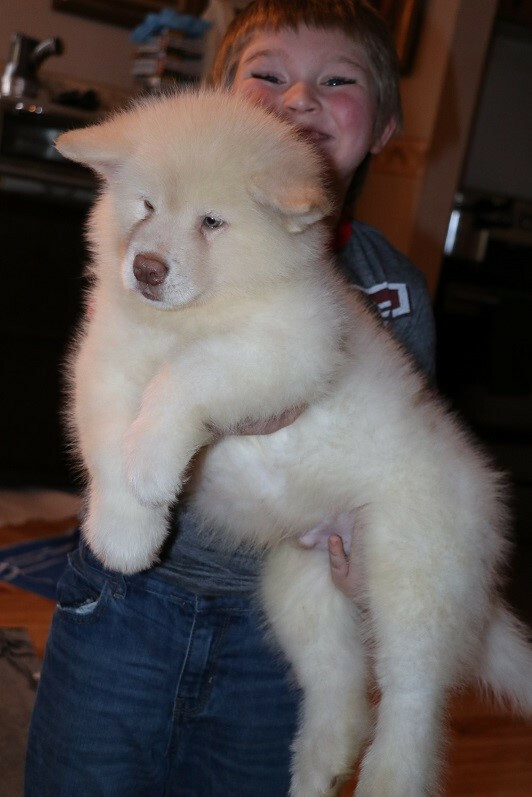 ​Should you change your mind and decide that you do not want to take the puppy for what ever reason- we are happy to rehome the puppy for what ever reason, but the good faith Deposit funds- are Non- refundable . 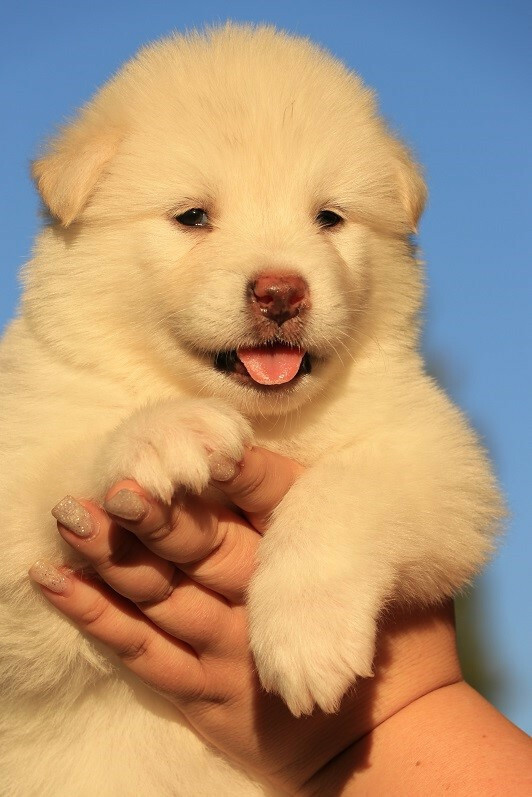 We take a deposit on a puppy in good faith that you are reserving the puppy for yourself . This is in accordance to Pet deposit Codes and Laws pertaining to the purchase of pets. "​Please" be sure you want a puppy before placing a deposit" this will help insure that there is no confusion about deposit refunds. If at anytime after you adopt one of our puppies and it doesn't work out, we take our puppies back. It is in our agreement with you, that if life changes and you can No long keep your baby- he or she, must be returned to us, or if you have a family or friend that would like to adopt your baby, we must be notified before you place your baby in someone else's care. This is to insure that we always know where are puppies are. 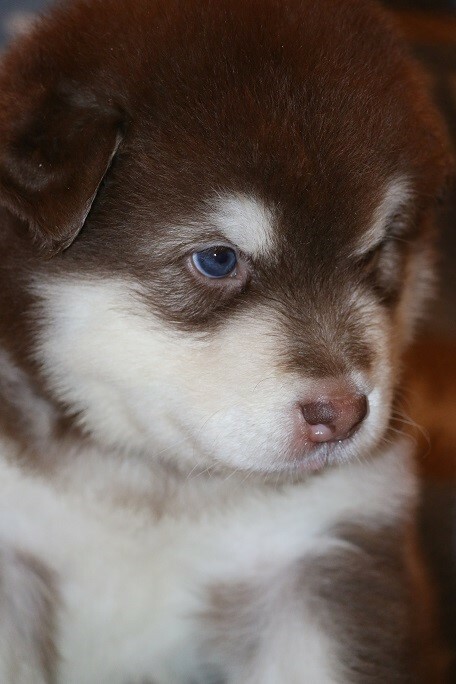 Puppies can look blue, but if you look close they are amber like Alaskan Malamute adults. 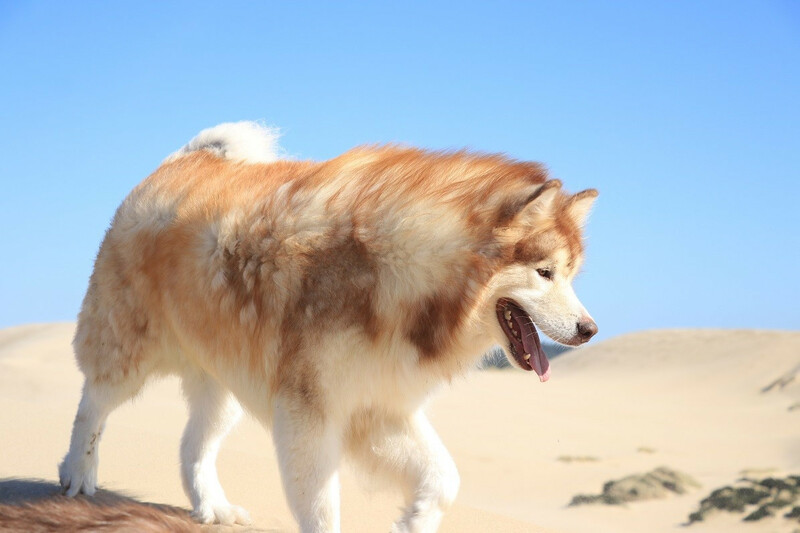 ​ "This statement is taken from the AKC standard for the Alaskan Malamute"
The head is broad and deep, not coarse or clumsy, but in proportion to the size of the dog. The expression is soft and indicates an affectionate disposition. The eyes are obliquely placed in the skull. Eyes are brown, almond shaped and of medium size. Dark eyes are preferred. Blue Eyes are a Disqualifying Fault ( meaning of Disqualifying fault- Not registerable under the Standard of the breed ) no AKC papers would be issued, or would be disqualified and papers resented. The ears are of medium size, but small in proportion to the head. The ears are triangular in shape and slightly rounded at the tips. They are set wide apart on the outside back edges of the skull on line with the upper corner of the eye, giving ears the appearance, when erect, of standing off from the skull. Erect ears point slightly forward, but when the dog is at work, the ears are sometimes folded against the skull. High set ears are a fault. The skull is broad and moderately rounded between the ears, gradually narrowing and flattening on top as it approaches the eyes, rounding off to cheeks that are moderately flat. There is a slight furrow between the eyes. The topline of the skull and the topline of the muzzle show a slight break downward from a straight line as they join. The muzzle is large and bulky in proportion to the size of the skull, diminishing slightly in width and depth from junction with the skull to the nose. In all coat colors, except reds, the nose, lips, and eye rims’ pigmentation is black. Brown is permitted in red dogs. The lighter streaked “snow nose” is acceptable. The lips are close fitting. The upper and lower jaws are broad with large teeth. The incisors meet with a scissors grip. Overshot or undershot is a fault. 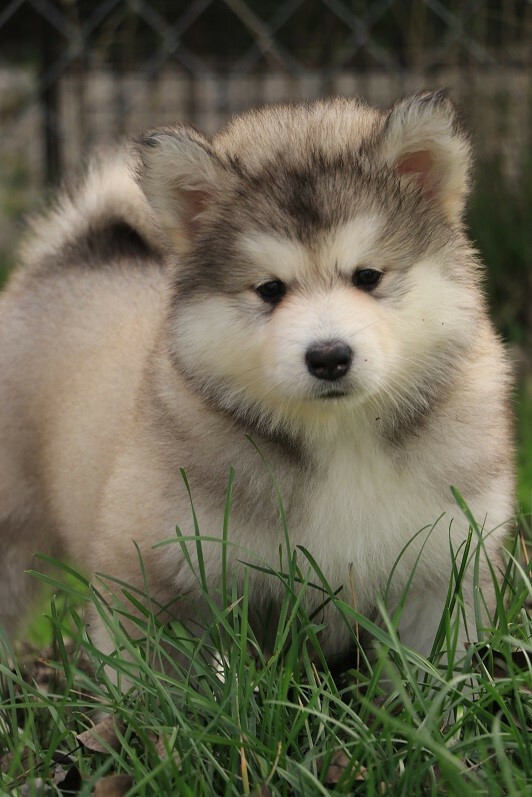 ​ Of Blue eyed Alaskan Malamutes- They are NOT Pure bred. When purchasing a puppy from me, email is ok, but calling is much better 541-915-3876. I dont check my emails sometimes and it could be days before we even see your email, I might miss something important if it is sent by email. Please call if you have questions and I dont get back to you in a couple of days. I dont spend much time inside so the telephone is the best way to reach Me. We have a waiting list on this litter and some of the puppies have already been spoken for. Please call for more information on the babies if you dont reach me by email, as I dont always check email on a daily basis. Someone is scamming people using our photo's and fake ads​, not placed by me. Always make sure you are not being scammed before sending ANYONE money for a puppy sight unseen. Ask questions and Know who you are getting your puppy from. I will always ask you questions and am happy to answer yours. If you dont reach me the first time, please try again, and I will return your call. The Waiting list has been started, if you would like to be on the list for one of these babies please call or email, we will tell you all about them and how you can get on the list to adorpt one of them.